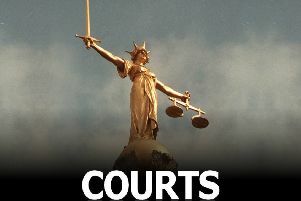 A Melton woman has been ordered to pay back thousands of pounds which she fraudulently obtained from Melton Council and the Department for Work and Pensions. Carol Marchant, of Stirling Road, was found guilty at Leicester Crown Court of a charge of dishonestly failing to promptly report changes in her circumstance on her claims for housing benefit and council tax benefit to the council and two charges of making a false statement to the Department for Work and Pensions, Jobcentre Plus. Marchant had dishonestly failed to report that her partner, Richard Radburn, was living with her in the same household as husband and wife between 2010 and 2013. Melton Council revealed details of her prosecution and conviction this week. Marchant was sentenced, on March 17, to a one year community order including a requirement to do 100 hours of unpaid work. She will also have to pay back the full £10,753.62 overpayment of housing and council tax benefit and £2,227.49 Jobseekers’ Allowance and Employment Support Allowance which she fraudulently obtained from the council and the Department for Work and Pensions.